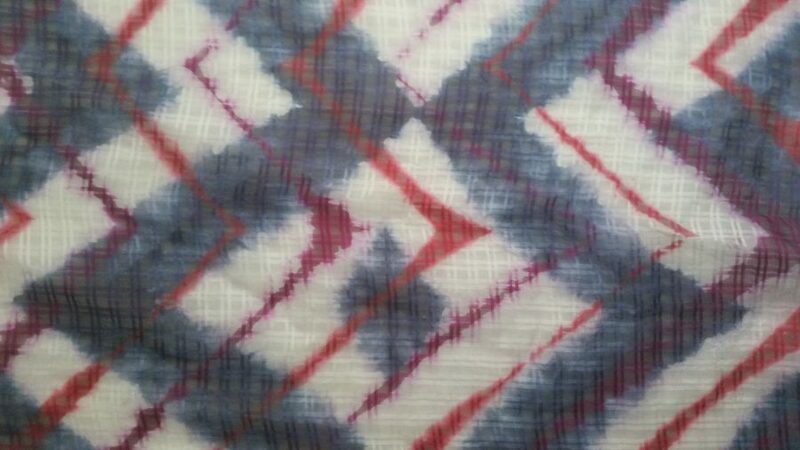 So I have been in the dye studio for a few days and have some pieces to share. 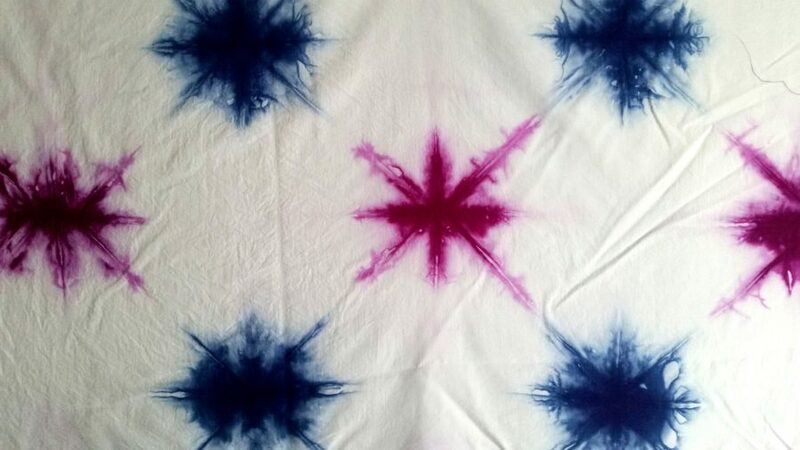 These are all various forms of shibori, the Japanese word for putting pattern on fabric by applying pressure with dye. Most of these are silk fabrics, procion dyes are used on each. 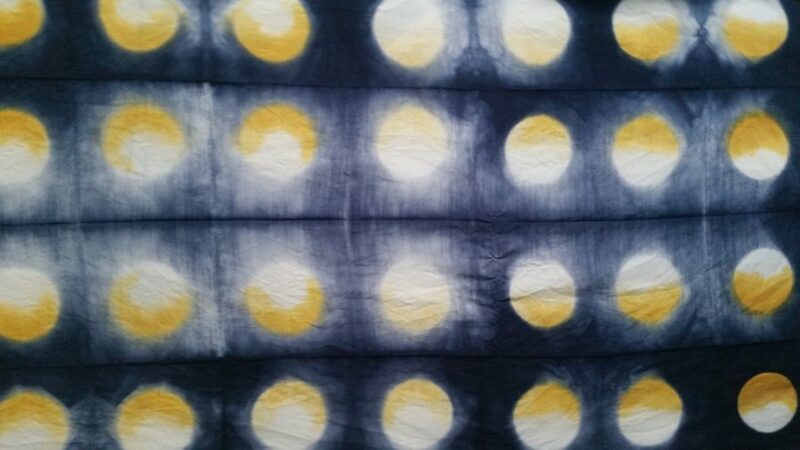 Itajime shibori circles under a chevron pattern. Itajime with circles and 2 dye colors. 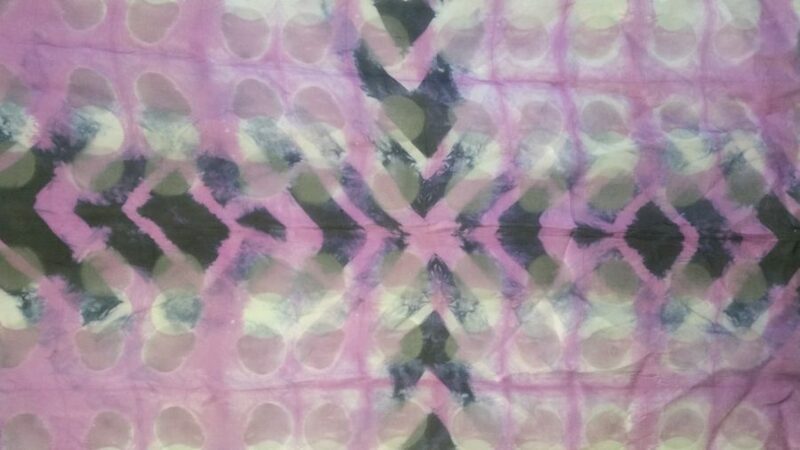 This sekka shibori with blueberry and raspberry dye is making me hungry! More itajime, this time with zig zag stripes and navy and red dyes. 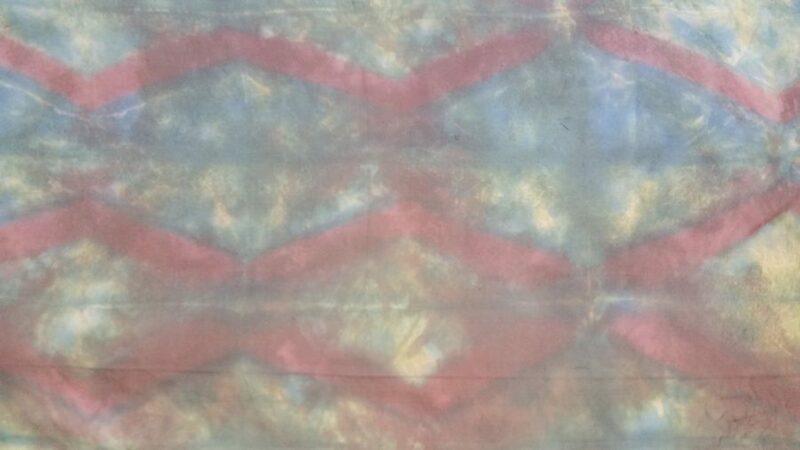 This fabric was dyed, discharged and over-dyed. This method brings out a lot of subtle complexity in the final product. Admittedly, this chevron piece is kinda ugly. But I have learned that this is merely an opportunity to throw it into another dye bath or discharge it to get something spectacular. Stay tuned. Now comes one of my favorite parts of the art-making process: auditioning fabrics to put them all together….